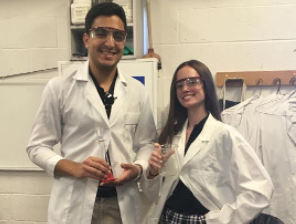 Seniors Brij Kathuria and Kiley Nelson don lab coats in AP Biology class. Senior Kiley Nelson knew she wanted to be a doctor when she felt the relief and joy after the surgeon who had successfully completely her mother’s liver transplant pulled her into a tight hug. “I just wanted to be that person for someone,” she said. 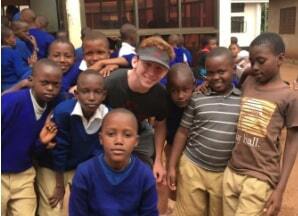 Nelson is one of many NDP students who dream of one day entering the medical field. According to a random survey of NDP students, 47.6 percent of students hope to have a job in the medical field. This field also leads to one of the most commonly dropped majors by undergraduate students_ pre-med. Nelson said she dreams of doing research for children suffering from cancer. “Pediatrics has always hit home with me,” she said. This senior has seen many of her family members become ill, and talented doctors helped them, changing her life. 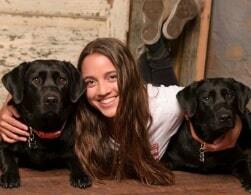 This has inspired her to go into the medical field and to help others to overcome illness. 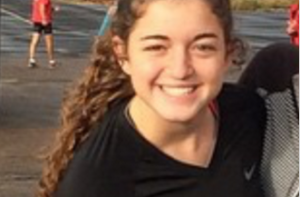 She is an intelligent student, taking mostly honors or AP classes, who has a passion for this field. Another student who is working toward a career in the medical field is senior Medical Club president Henry Lyons. Lyons said he has always liked science and enjoys helping people. 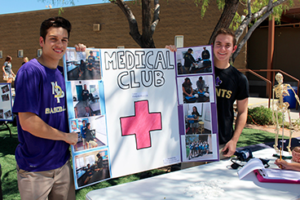 Club presidents Henry Lyons and Quinn Discerni smile in front of their sign at the Club Fair. He dreams of someday being a pediatric psychiatrist. Psychiatry is one of the top ten medical fields, according a 2017 Houston Chronicle article titled “Top Ten Careers in the Medical Field” by Dee Dee Smith. The others in the top ten were bio-medical engineering, speech paleontology and audiology, occupational and physical therapy, dental hygienist, physician’s assistant, diagnostic medical sonographer, respiratory therapist, athletic trainer, and dietitian. 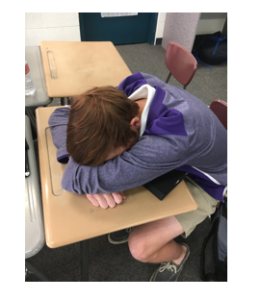 NDP students might relate to these others who dream of becoming doctors, but they do not know what it takes, how it’s truly not for everyone, how high school students are preparing, or how to stay connected. Obviously medical school has many selective requirements for its applicants. Depending on the school, it can be extremely difficult to get accepted. The two biggest requirements are GPA and MCAT scores, the MCAT or Medical College Admission Test is out of 528 points. The University of Arizona College of Medicine-Phoenix applicants have an average GPA of 3.7 and an average MCAT score of 507. Harvard Medical School applicants in comparison average a 3.8 GPA and have an average 517 MCAT score according to mcattestscores.com . The three cornerstones of a successful career in medicine are “a love for learning in general, a true intellectual curiosity about medicine, and a strong desire to help others,” according to a pharmacyschools.org powerpoint. By this account, many NDP students should have ease becoming successful in the .medical field. This school ignites intellectual curiosity, kindness, and a love for learning in its students through tough academics, top notch teachers, and Christian service. The top reasons NDP students said that they want to be doctors is because they like science, want to help others, and want financial stability. 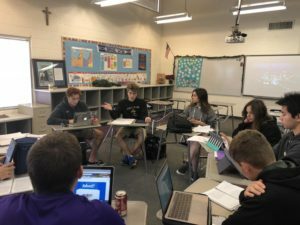 Notre Dame Prep students are finding ways to start to understand and pursue this field while in high school, by taking medical related classes at NDP, joining medical related clubs, volunteering at hospitals, and researching medical advances. 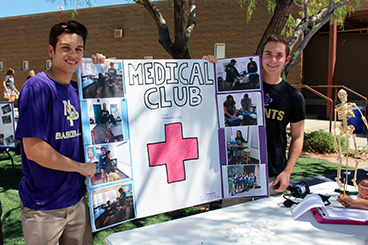 Medical Club is a great example of a way to become connected to medicine on campus. Lyons said Medical Club is focused on learning about different careers in the medical field and hearing from doctors about their experiences. Being the second oldest son of two doctor parents, this has always been an area of interest for Lyons. He said that psychiatry in particular is interesting to him because he wonders why people think and act the way they do. Medical Club has yet to have anyone come in to talk about psychiatry specifically, but Lyons is hopeful that he will find a parent who is interested in coming. Medical Club has heard guest speakers talk about medical school, residency, life as an OBGYN and life as a surgery. Lyons has thought a lot about how to achieve his dreams. 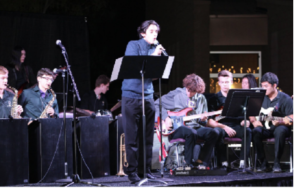 He plans to attend a higher level program in college at either University of Arizona Honors College or Baylor. He said that both of these institutions have high acceptance rates into medical school, an important aspect in an undergraduate college for any aspiring doctor. Notre Dame students say they look forward to this sense of joy and fulfillment. Nelson said that she wants to spread happiness and love to those who are injured or have loved ones who are injured. She cannot wait to be the source of joy for these people who need it the most. Leap said, “The future is short of physicians, and especially so in rural areas.” He explains how “there will always be work as long as illness and injury exist (and gravity); or as long as we fail to predict with absolute accuracy what may happen to us.” This idea is frightening, but with bright young dreamers who are motivated there is hope for a great future of medicine. 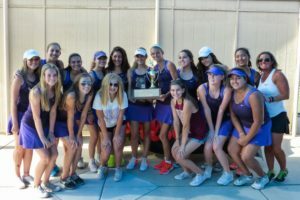 Senior class valediction Sophie Rodriguez said that her childhood dream of always wanting to be a doctor came to a quick halt in high school after she realized that she no longer saw herself in that field. She is happy to realize this now before pursuing this type of career in college. According to a doctorly.org article titled “Cost vs Reward of a Physician Education,” the average time from starting college to practicing as a doctor is 12 years. 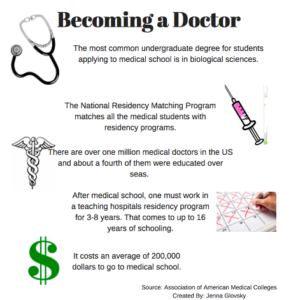 Typical schooling for this route includes four years of undergraduate school, four years of medical school, and three to five years in a residency program, depending on the specialty. This amount of schooling obviously is not for everyone. Many students, especially burnt-out high school students, do not want to spend so much time pursuing a career that requires so much time and money. Even though this field yields some of the highest paid professionals in the United States, the cost of obtaining the education and training in order to enter this field is continually escalated according to doctorly.org. An AAMC Medical School Graduation Questionnaire data from 2014 said that the median debt after medical school is between 170,000 dollars and 200,000 dollars. Another AAMC survey found an overall rise in the cost of attendance for medical school to be rising at a 3-4 percent increase. These figures could very well scare any student considering pursuing this career choice. “I like the idea of having a job where I can grow, advance, and move around if I get bored. I don’t see that possibility in the medical field,” she continued. Rodriguez has a father who is a radiologist. He has encouraged her to “be practical” and “think about all of her options”. She is a smart girl who could be successful in anything, and her father has convinced her that a career in the medical field is not her best option. She does not want to spend so much time and money preparing for a job that potentially will not make her happy. 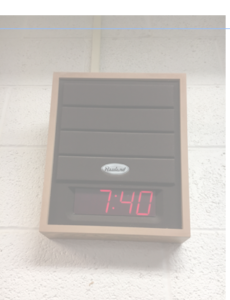 Senior Natalie Brodar says that it is too much schooling for her, and she would be scared of the responsibility of holding someone’s life in her hands. “I don’t want to go through all that work, also blood and shots freak me out,” says Brodar. 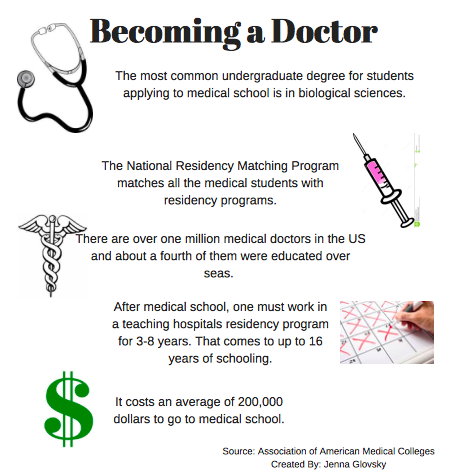 Students who can get over the blood and the cost of pursuing a medical degree might still be out of luck, as medical school is extremely competitive and challenging. Even a science major in undergraduate school is difficult to achieve. The classes required to graduate with a pre-med program most commonly includes biology, chemistry (organic and inorganic), physics, and anatomy. All these class also require labs, this is just the beginning of a long road of science courses students will take in medical school. Senior Erica Wiskerchen hopes to one day have a career as a therapist working with mentally ill patients. She is particularly interested in PTSD and schizophrenia. Wiskerchen said that the movie Concussion that she saw a few years ago began her interest in this particular line of work. She plans to attend either USD or University of Colorado Boulder next year for college where she will continue her quest in science education by majoring in neuroscience. 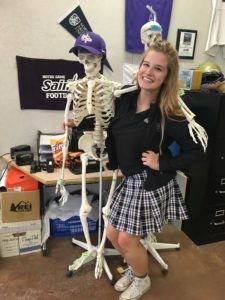 She decided to take Anatomy and Physiology Honors at NDP in order to prepare for her college curriculum. She smiles as she talks about the class coming easy to her and being interesting. She said that her favorite part has been the dissections. Erica Wiskerchen poses with her skeleton friend in Anatomy class. This junior/senior class is taught by new teacher Mr. Nicholas Orlando and is a great way to become familiar with the human body before a science major in college. NDP has been making accommodations for its many students to have the chance to take classes that will benefit them when they take pre-med classes in college. 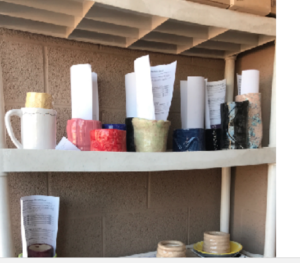 School counselor Lisa McMorrow said that classes such as Anatomy and Physiology, AP Biology, AP Chemistry, Psychology, Sports Medicine and Medical Ethics are good for students interested in medicine. “Pre-med majors will spend a lot of time in the sciences,” she said. These classes will all give students a feel for the many challenging course they will be taking in college. Medical Ethics is an honors course that NDP will offer for the first time in the fall of 2017, according to Mrs. McMorrow. It is unknown who will teach this class. It is based on the examination of ethical issues in health care through the lens of Catholic moral thought. This theology-orientated class will be open to juniors and seniors to take for one semester next year. She said that she is prepared to take many challenging classes in college, and knowing the dropout rate to be high she admits that she would not be surprised if she switches to an easier path still within the medical field. Senior Sydney Gebhart said that she hopes to one day be a doctor or a dentist. She said that this is because she has always been interested in science, and she has a passion for helping people. Gebhart claims that she does not know what will happen if this does not work out because she has never even thought about a different career path. She plans to attend ASU next year and major in biomedical sciences. 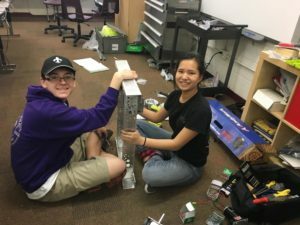 Her plan for the challenge of this course of action is to “study a lot, and work hard in all my classes.” She said that she is not only prepared but excited for all of the science classes she will be taking throughout her college career. Gebhart said, “I like doing dissections and learning about the different structures. It helps to make sense of bodily functions.” She recommends underclassmen to consider anatomy classes as a science at NDP. Being aware of what is going on in the medical field and staying up to date with new technologies and discoveries is essential to students hoping to pursue this career. With a field that changes so frequently, it is important for students to understand how these changes might affect them and their place in the medical field in the future. Lyons keeps up to date with medical advances by having a newspaper app on his iPhone. 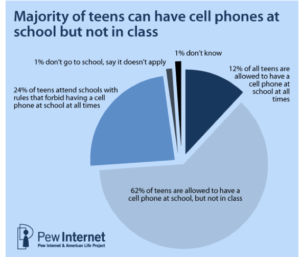 “I like to read news about physiology, psychology and neuroscience,” Lyons said, holding up his phone. He said he is interested in what people are doing to learn more about science and technology to advance the medical field which he will someday be apart of. Lyons said, “I foresee advances in the field of radiology through the use of computers to read x-rays.” This is a common answer among NDP students, as many people understand how far the advances in computer technology have come. Senior Brij Kathuria is interested in pursuing the medical field. He said that he hopes to one day be a surgeon. Kathuria’s interest has been consistent throughout his entire childhood, stemming from his father’s success as a cardiovascular surgeon. Kathuria said, “I often talk to my dad about advances in his field.” He said that this is the only way he keeps up with advances currently, but that he would be open to learning about ways to stay connected and informed. He said he believes that the future holds less of a place for doctors due to the increase of technology, but that the likelihood depends on the particular field of medicine. Nelson’s interest is focused on the research and lab side of the medical field, so she said that she thinks the future will be bright for the students hoping to go down this road. This is a common theme for most students. They believe that the world is slowly changing, but that it will not affect them in the span of their lives.